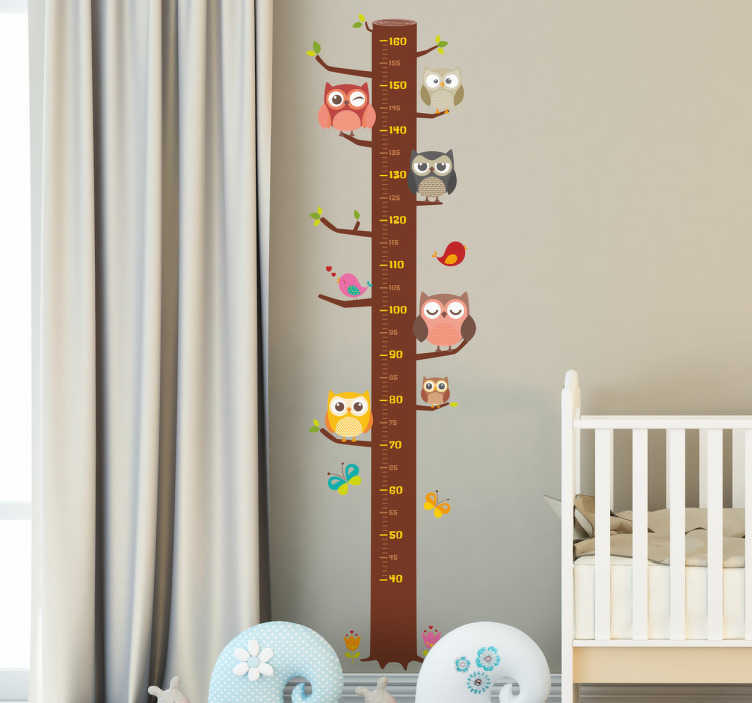 Height chart wall sticker showing a tree trunk and multiple owls resting on each branch. Use the measurements up the middle to keep track of your child's height as they grow! With this sticker, in addition to having a practical function, you can personalize and colour the walls of your kid's room. High quality kids wall sticker made of anti-bubble adhesive. It will be very easy to install without fear of folds or unwanted bubbles.